A couple of months ago, Manchester United and Louis van Gaal gave Marcus Rashford a huge opportunity. The club deemed him ready for first-team action and my he has grabbed that chance with both hands and hasn’t looked back. The 18-year old has scored several important goals during his fledgling career, and has now become a mainstay in the Manchester United starting eleven. Paul Merson, who works as a pundit for Sky Sports has likened United’s talented forward to Marco Van Basten, and labelled him a ‘very very special player’ in the process. 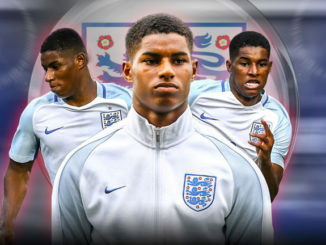 Its clear that Manchester United do have a real prospect on their hands with Marcus Rashford, and what he is doing at the moment is nothing short of outstanding. He has massive amounts of pressure on his shoulders right now, and he seems to be thriving under it and scoring goals for fun. All credit to him. He and Anthony Martial are forming a real bond up front at the moment, and we could well have two of the most talented strikers in the world banging the goals in for years to come.